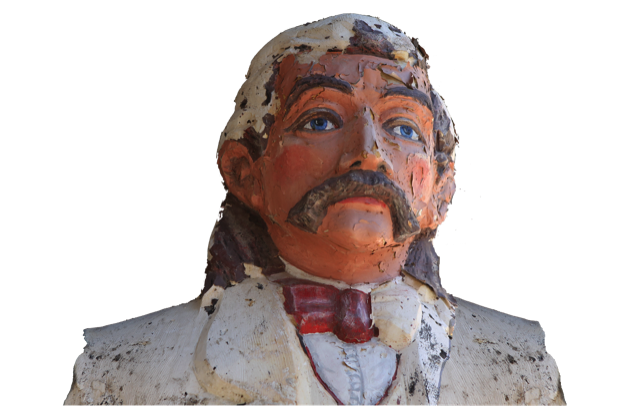 Deadwood, South Dakota was the last stop for Wild Bill Hickok the famous Old west scout, gunfighter and lawman. On the fateful day of August 2,1876 Hickok, who usually took a chair while playing poker with his back away from the door, let his guard down and instead took a chair with his back to the door in Saloon #10. Old Wild Bill had earlier had a premonition that Deadwood would be his last stop and sure enough after being unable to change for his usual chair while playing poker, it was. Old Bill, all of 39 was shot in the back of the head by Jack McCall who yelled “Take that” before firing his gun. It is believed a quarrel they had the day before was the cause of the friction between the two men. McCall had two trials before he was found guilty and was hanged March 1, 1877. But all that is history. 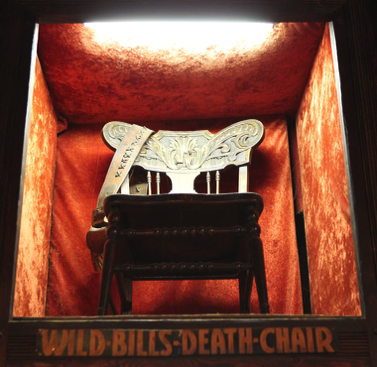 Today if you visit Saloon #10 in Deadwoods old historic center you can see what is reputed to be Wild Bill’s death chair. There is good reason to believe that it is not the same chair he occupied on that fateful day however. In fact rumor has it that the real chair is still in town at an undisclosed location! Who knows. But visiting the saloon and the Mount Moriah cemetery on the bluff overlooking Deadwood makes for an interesting day nonetheless. General George Armstrong Custer died at the battle of Little Bighorn on June 26, 1876 just two months before Wild Bill as murdered. See the Custer page for more information on the General. 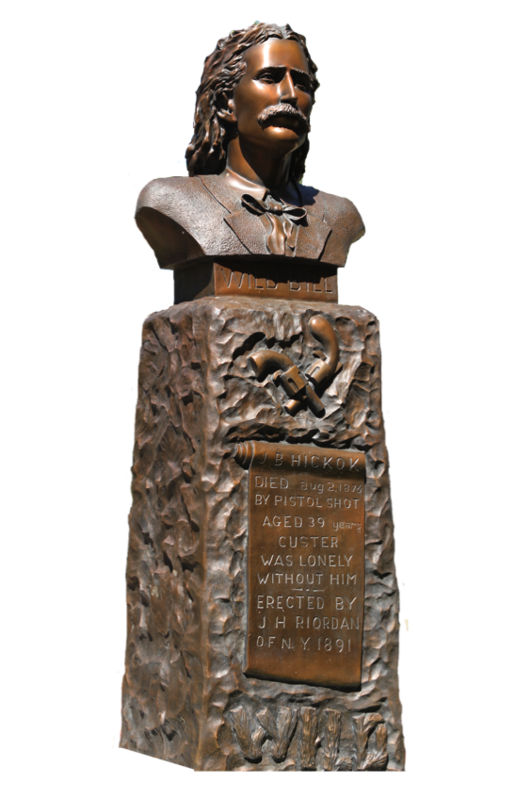 Portrait of Wild Bill Hickok in Deadwood, South Dakota by Gutzon Borglum who carved Mt. Rushmore.